On Nov. 19th, after leaving its union with Venus, Jupiter unites with Zuben El Genubi in Libra, on its easterly ecliptic path into Sagittarius. 1. 12/21/2017 union of Jupiter-Zuben El Genubi in Libra. 2. 6/2/2018 union of Jupiter-Zuben El Genubi in Libra. 3. 8/15/2018 union of Jupiter-Zuben El Genubi in Libra. In later Nov. 2017, we find Mars the archangel Michael moving into conjunction with Spica in the morning sky, see [Plate 3]. This union takes place on November 29th, with Mars 3 degrees north of Spica. Below we can see the Jupiter-Mars conjunction in Libra in early January 2018. This sets the stage for the triple conjunction of Jupiter-Zuben El Genubi in Libra based on the 2018 retrograde of Jupiter. In the morning sky on January 7, 2018, Mars finally overtakes Jupiter in Libra, in an eye-opening conjunction, with Mars only 3 tenths of a degree separated from Jupiter. The Jupiter–Mars union of January 7th 2018 takes place after the first of 3 unions Jupiter will undergo in Libra, this time about 1/2 a degree apart from Libra’s brightest star– Zuben El-genubi. December 21st 2017, finds Jupiter in direct motion passing North of Libra’s alpha star, meaning “the purchase or price which is deficient.“5 Jupiter’s union with this bright star in Libra speaks to man’s inability to redeem himself, because he has been weighed in the balances and found wanting. Jesus is the only one ever who was not only qualified, but actually laid down his life for all man-kind, which makes him the only Way of Salvation, the Alpha and Omega-the first and last way God made available for the redemption of all humanity. To brighten our holiday season this year, we will be treated to a Christmas Day conjunction of Saturn and Venus in Sagittarius! On Dec. 25th, 2017 Venus the bright and Morning Star unites with Saturn, displaying Christ’s victory over the evil one, as seen in Sagittarius where our quickly returning Lord Jesus Christ is portrayed in triumph, conquering to conquer! 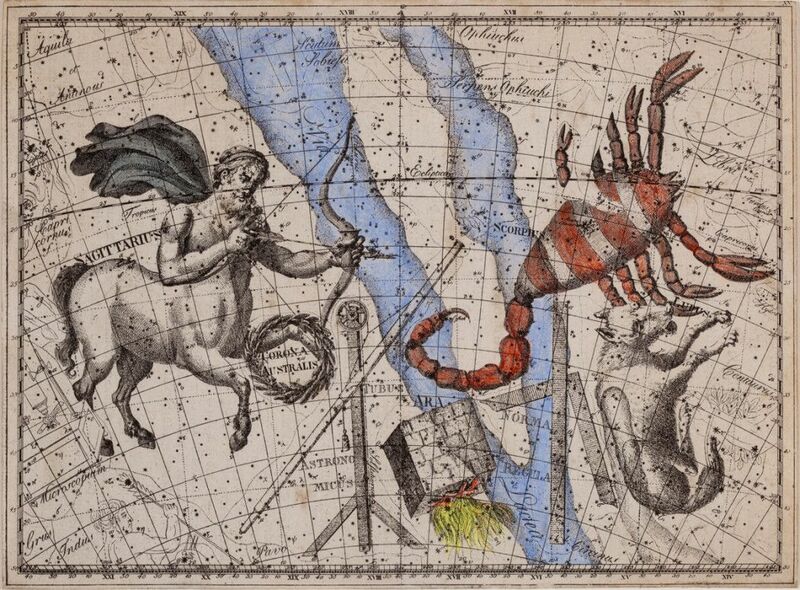 Here the star picture of the mounted Archer has his arrow aimed at the red heart of the Scorpion–Antares, while the foot of Ophiuchus crushes the Scorpion’s heart underfoot. As we noted in our previous blog post, Saturn has just completed its triple union with Saiph, the star in Ophiuchus’ other foot which was stung by the Scorpion, bruising the heel of the 1st and 2nd Adams, [Gen. 3:15]. This shows Satan’s persistent evil to obstruct God’s purposes any way he can, even though he knows he is defeated. This planetary conjunction near the conqueror’s Bow, shows the deadly accuracy of our Lord’s aim [Plate 4] to destroy the works of the enemy, [I John 3:8b]. Plate 4. The Arrow of Sagittarius aimed in the Galactic Center to the Heart of the Scorpion. Of course, this week’s Jupiter-Venus union on Nov. 13th, 2017 reminds us of the Jupiter-Venus conjunctions marking the birth of Christ, on Sept. 11th, 3 BC. With the arrival of the new born king on the scene his sufferings to fulfill the OT Law as the Passover Lamb were ahead of him, where now he is looking forward to his Glory in eternal victory, and the redemption of his purchased possession–the Church of his spiritual body. The Christmas Day conjunction of Saturn and Venus in Sagittarius, recalls the exploits of the Magi in 3-2 BC, with notable celestial activity. 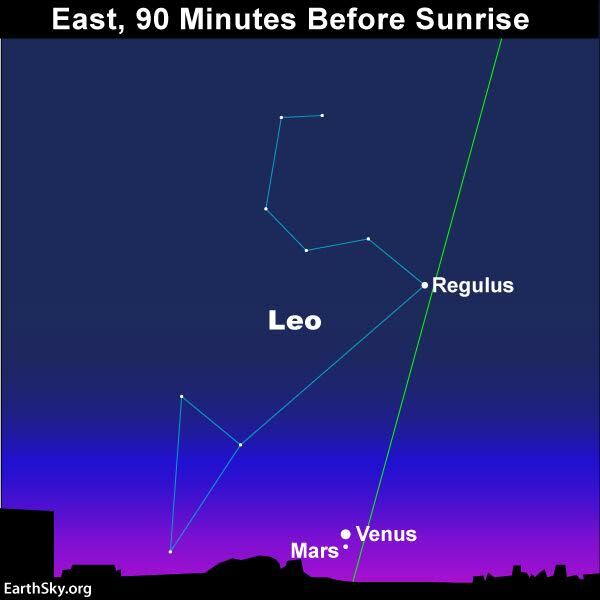 Thus, according to Martin, the same astronomical phenomena that initiated Jupiter’s three Conjunctions with Regulus, its annual retrograde motion would have caused Jupiter to stand still in the heavens for about six days near the intersection of the ecliptic and the Meridian mid-body in Virgo. This occurred in week of the celebration of the Feast of Dedication in December of 2 BC. Also recall the relationship between the cycles of the Sun and Jupiter, and that the Sun, mid-bodied in Virgo for the twenty-day period, from August 27th to September 15th, marked the birth of the promised seed. Martin’s assertion that Jupiter began its retrograde motion on December 25th, 2 BC, aligns with the start of the Feast of Dedication, that year which was from December 22 to 29. As the Magi left Jerusalem, they saw Jupiter on its nightly course. Looking south they saw it high in the sky, nearing its apex on the Meridian of Jerusalem and Bethlehem. Thus, the king planet-Jupiter was clothing Virgo, as the Sun did during the birth of the promised seed, mirroring the movement of the light of the world, while clearly marking the birthplace of the King of the Jews for the Magi. These were important celestial indicators for the Magi, who would have seen the spiritual significance of “his star”—Jupiter, in” Virgo during the month of December in 2 BC, directly over Bethlehem, indicating the birthplace of the King of Kings, who would inherit David’s throne. In this light, we can understand Balaam’s great prophecy in Numbers 24, as a reference to this. Num. 24:17-I shall see him, but not now: I shall behold him, but not nigh, there shall come a star out of Jacob, and a sceptre shall rise out of Israel, and he shall smite the corners of Moab, and destroy all the children of Sheth. “Star out of Jacob and a sceptre shall rise out of Israel“- Star = H3556 (kowkab) figuratively an illustrious Prince who is the star to rise out of Jacob, holding the scepter as ruler over Israel. 13 We should note the figure of speech polysyndetyn utilized in this verse regarding the “many ands” which emphasize each aspect of the verse appearing between the “ands.” This “star” was associated with the sceptre rising out of Israel, is a celestial reference to the sign of Leo the Lion with specific implications for it’s brightest luminary, Regulus the king star, the brightest star on the ecliptic also known as the “heart of the Lion.” The King’s sceptre is the symbol of his power over the heathens and those who oppose his purposes, by which he will rule over them with an unbending authority or “rod of iron,” [Ps. 2, Rev. 19:15]. Regulus was known by the ancients as the only king star which is linked with this scepter. This fulfills Jacob’s prophesy, that one holding this scepter would arise out of Judah according to Genesis 49. Secondly, the regal authority of this star is established in the king planet-Jupiter, whose authority as we have just seen, was symbolized by Leo the Lion, of the tribe of Judah that provided the regal stock from which the kingly line of Israel arose, first in King David, and ultimately in Jesus Christ from the “root of David” [Rev. 5:5]. The triple planetary Conjunction of the king planet Jupiter, with the king star Regulus in Leo from 3-2 BC, thus aligns specifically with the prophecy of Genesis 49:8-10, which shows the maturation of the Lion of the Tribe of Judah. Balaam’s revelation here in Numbers 24:17 provides a Scriptural basis for the connection between the “star of Jacob” [Jupiter] and the “Sceptre,” to the advent of Christ the King, who came forth out of Jacob’s genealogical line. Secondly, there is a celestial double meaning in the phrase: Star out of Jacob, with connotations for both the general and specific aspects of our Celestial Prelude. 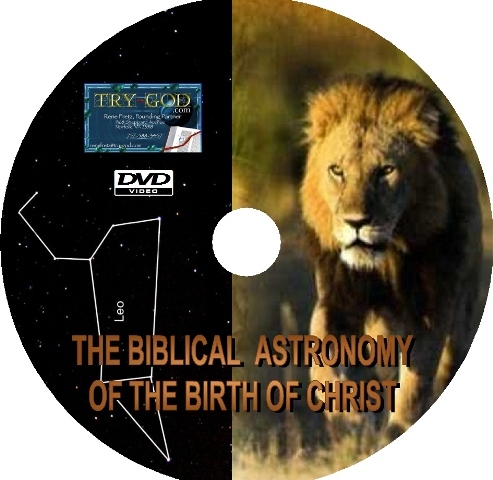 The complete details of the correlation between the triple Conjunction of Jupiter and Regulus in 3-2 BC, and the record in Gen. 49, is available through our bookstore on the DVD “The Biblical Astronomy of the Birth of Christ.” This unique teaching provides the in-depth instruction on the celestial pageantry of the birth of Christ, along with the history of the Magi and numerous related Biblical Astronomy topics that time does not allow in this blog post. Plate 6. Jupiter-Saturn triple Conjunction of 7 BC. This tradition was based on Balaam’s declaration in Numbers 24, meaning that Balaam’s prophecy holds additional import. First, The new star, or supernova located in the head of the infant in Coma, visible for a total of over 270 years, was the general sign that prepared the Magi to be on watch for specific aspects of the second part of the Celestial Prelude, involving the series of celestial signs from 7-5 BC. These signs seen in the triple planetary Conjunction of Jupiter-Saturn in 7 BC would set the stage for the Magi’s recognition of the triple planetary union of Jupiter-Regulus from 3-2 BC, marking the long prophesied birth of the promised seed. Here we see the third aspect of Balaam’s prophecy in relation to the scepter, symbolic of the reign of the king planet Jupiter. As we have seen in our study, Jupiter is the planet that the Magi called “his Star” in Matt. 2:2. Rolleston’s quote reveals that she also fell victim to the confusion between the general and specific signs of the Celestial Prelude. It was not the new star in Coma that led the Magi to Bethlehem, which had been shining brightly for over 100 years, but the Scepter–Jupiter in Virgo stationary due to its retrograde motion during the winter Solstice that stood over Bethlehem, the inheritance of Jacob, that inspired the great joy of the Magi. It was the dual triple Conjunctions of Jupiter-Saturn that identified the king planet as “His Star,” and the same star that got them started on their caravan which led them to Jerusalem in August of 3 BC. 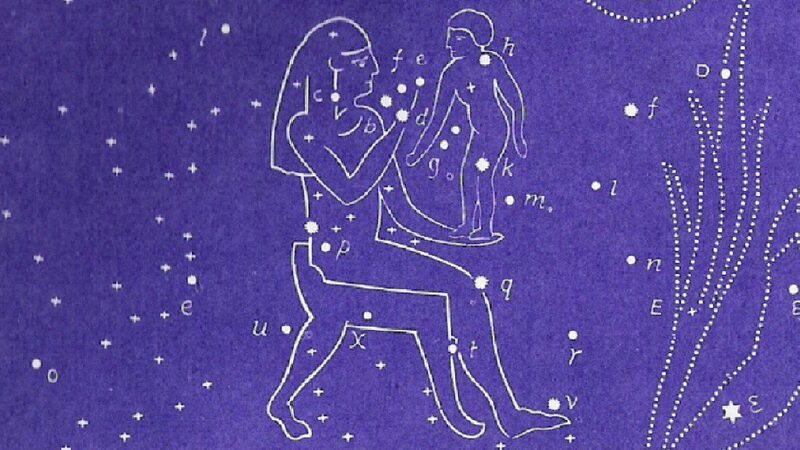 Since Coma is the “L”-shaped decan of Virgo, pictured below, adjacent to the Woman in the heavens, the Magi saw both the supernova in Coma, AND Jupiter in Virgo, simultaneously aligned on the Meridian in the same part of the skies over Bethlehem. We have depicted this graphically in the banner of this blog post. A point of interest here regarding Hipparchus is that he is generally credited with the discovery of the precession of the equinoxes by modern science in about 134 BC. He reportedly came upon this discovery while studying the star Spica, on a celestial map produced by his predecessor, Timocharis. He noticed that Spica was about 2 degrees away from it’s location on the star map, and decided that its movement averaged one degree every 75 years; [close to the actual 72 years]. 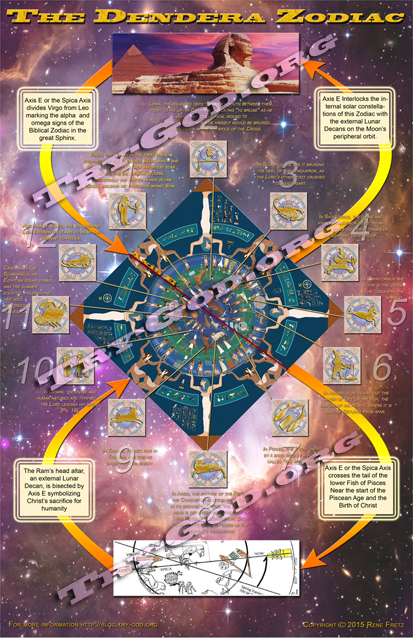 This is a key to remember in our study of Dendera’s zodiac related to Spica, and this general sign detailed in other sections of our [www.try-god.com] website. Rolleston also records the appearance of this bright new star in 125 BC, so bright that it was visible during the day. The Magi would have witnessed both this star shining brightly in Coma, in the head of the young desired son, seen as already standing on his mother’s lap, not as an infant in a manger, [Plate 7]. Just below Coma in Virgo, Jupiter was in retrograde motion standing still on the Meridian, on December 25th during their early morning observations around 4:25 am in 2 BC, Jupiter was standing high overhead, directly above Bethlehem, as the Magi approached from Jerusalem, the general sign in harmony with the specific. This gives another reason why the Magi were the only group to recognize the specific signs of the Messiah’s birth, because the general sign was a fixture in Coma from about 128 BC to 150 AD, marking the general period the Promised Seed would appear. The typical person wouldn’t have noticed any irregularity in the heavens, because it does not stand out unless coupled with the knowledge of the specific signs, regarding Jupiter, which brought the Magi to Israel in the first place. This is another reason why the Magi were overjoyed when they saw “his star” over Bethlehem. Also of interest, is the truth that the Gentile Magi arrived during Hannukah-the festival of lights, also recognized as the second Feast of Tabernacles in Israel, allowed for those who missed the first one in September. It is fitting that the initial Gentile recognition and response to the light of the world took place during this appropriate time, indicating God’s Grace to all mankind, [Hag. 2:7]. The timing of the winter Solstice is also key here because the Gentile Magi appeared at the time of the expected birth of the heathen sun-god, but honored the true Son of God instead, marking a much needed transition from the world’s idol practices, to the true veneration of the Promised Seed-Jesus Christ. This understanding of the distinction between the general and specific signs surrounding the birth of Christ should clear up the majority of the confusion and controversy related to this topic of study, if the Bible is recognized as the standard of truth, supported by history and the accuracy of the Biblical Astronomy as detailed here. With both Mars and Venus in Ophiuchus, during this sign in December of 2 BC, we can see the archangel Mars-Michael, standing to protect the ascendant Morning star-the toddler Jesus Christ, during this time of the enemy’s attack. A noteworthy point here is Jupiter standing still in the heavens for about six days during the Hanukkah celebration, near the intersection of the ecliptic and the Meridian in Virgo. This focuses our attention on the path of Jupiter intersecting the ecliptic; the Sun’s path, pointing out the celestial relationship between Jupiter and the Sun, not to mention their kindred symbolism. Plate 7. Sunset Horizon from Jerusalem at Christ’s birth on 9-11-3 BC. The word “arise” in verse 2, is not only used of the Sun and light in general, but it and two of it’s derivatives occur in [Isaiah 60:1-3, Jer. 23:5]. As we have seen in regards to Jer. 23:5, the planet Jupiter, the sedeq planet is associated with the Messiah, Jesus Christ the righteous zemach-branch, and is one of five primary Old Testament prophecies pertaining to this Branch, as the coming promised seed. However, with the stationary choreography of Jupiter and the Sun, we have an added Messianic-solar link. The reference of “arise” above, is very interesting when considered not only from the aspect of Jupiter standing still, in Virgo, but also referring to the zemach-branch and the setting time of the star Spica in Virgo, whose ancient Hebrew star name refers to the four-fold ministry of Christ seen in the four Gospels. Thus it serves as a singular celestial marker of the moment of Christ’s birth, following on the heels between the setting Sun and New Crescent Moon at Virgo’s feet, [Plate 7] during the first moments of Tishri 1, in 3 BC! Thus, Virgo set the context for both Jupiter standing still on the Meridian as a reference to Bethlehem, the birth-place of Jesus Christ, and the star-set of Spica in reference to Jesus’ birth-time, at the beginning of New Year’s day, Tishri 1, on Israel’s Calendar. This scenario provides us with the exact moments of the birth of Christ, about 20 minutes after sunset, with the setting of the Star Spica, coinciding with the first appearance of the Crescent New Moon on the first of Tishri, the newly born king was manifested to his earthly parents Mary and Joseph. 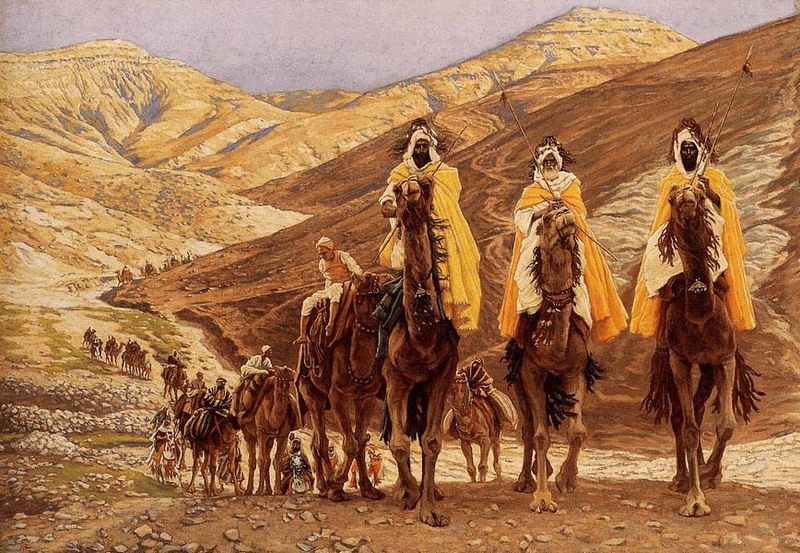 Fifteen months later in Dec. 2 BC, the Magi paid their visit and homage to the toddler Jesus, imparting their gifts unto the young king, which would finance the impending trip of the royal family to Egypt, and away from Herod. With this year’s Christmas conjunction we are reminded of our Lord’s 1st Advent, but even more we see his quick and victorious Return for the redeeming of the Church of his spiritual body, that we may ever enjoy our victory with him and the Heavenly Father. 1. Starry Night Pro, Astronomy Software on Jupiter-Venus union of Nov. 13th, 2017. 2. Bruce McClure in “Tonight” for Plate 1 picture credit. 3. Starry Night Pro, Astronomy Software on the triple union dates of Jupiter-Zuben El Genubi in Libra, 2017-18. 10. THE STAR THAT ASTONISHED THE WORLD, Dr. Earnest Martin p. 49. 13. Strong’s Concordance on H3556, James Strong. 15. The Witness of the Stars, E.W. Bullinger ppg. 36-37. 18. The Gospel in the Stars, Joseph Seiss, p. 161. 19. THE STAR THAT ASTONISHED THE WORLD, Dr. Earnest Martin. p. 60.